There’s nothing scarier than that one pimple on your cheek that can potentially scar your skin for life! Given the unhealthy diet and lifestyle habits we have, add to that the pollution and Sun radiation, our skin is more prone to infections, dark spots, acne, pigmentation, and wrinkles. So, how can you protect your skin? Well, what you need is foods that will help make your skin healthy and glowing from within. Loaded with nutrients, these foods have amazing healing properties that will work great for your skin. 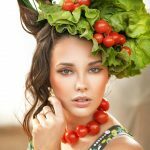 Read on to find out about the 25 best foods that you should consume to get that flawless skin you’ve always wanted. Tomatoes are rich in lycopene, a carotenoid that acts as an antioxidant and also gives tomatoes the luscious red color (1). It helps scavenge the harmful oxygen radicals that cause toxic buildup resulting in skin rashes, acne, and aging (2). Scientists at the National School for Healthcare Science (NHS), examined to see if tomato paste can protect human skin from UV radiation-induced erythema. 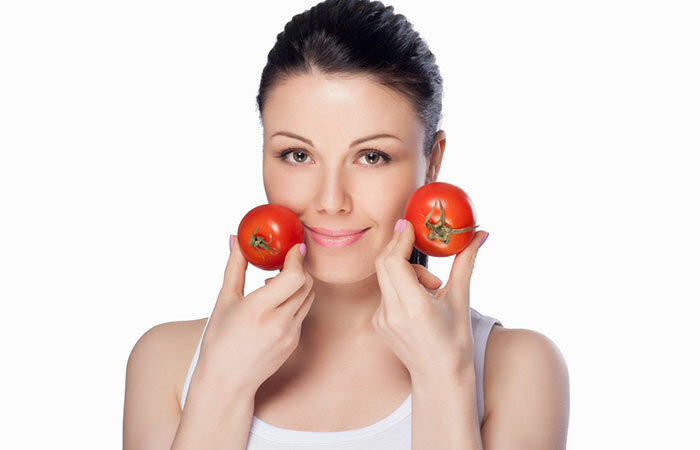 It was found that tomato paste can actually protect your skin against photodamage (3). You can include tomato in curries, salads, grilled veggies, etc. to enhance the flavor, color, and nutritional value of the food and protect your skin. Green tea offers myriad health benefits. The epigallocatechin-3-gallate (EGCG), a polyphenol, possesses antioxidant, anti-inflammatory, and anti-tumor properties. Scientists have reported that EGCG in green tea helps protect the skin from harmful UV radiation and also nullifies the oxygen radicals. This helps prevent skin rashes, sunburn, skin cancer, and photoaging (4). Have a cup of green tea in the morning or in the evening to make your skin healthy and glowing. 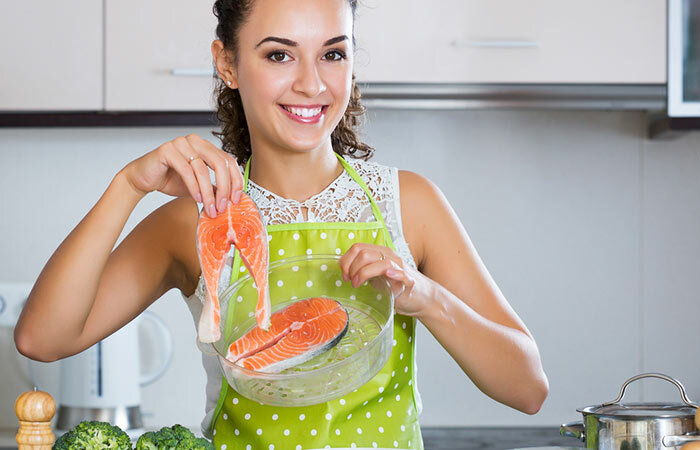 Wild-caught salmon is a rich source of omega-3-fatty acids and astaxanthin, a red carotenoid pigment responsible for salmon’s pink colored flesh (5). Omega-3-fatty acids are healthy fats that help prevent melanoma, squamous cell carcinoma, and basal cell carcinoma (6). Astaxanthin is used as an essential ingredient in cosmetics, and that’s because it helps protect the skin from sun radiation and improves skin elasticity, thereby slowing down aging (7). Have grilled or baked salmon for lunch or dinner with veggies to improve your skin health. Carrot is rich in beta-carotene, a carotenoid that gives the carrots their red or orange color. Beta-carotene has antioxidant properties that prevent cell and DNA damage (8). However, you must avoid overconsumption of carrots as it may cause discoloration of the skin. Add carrots to your stew, bake a carrot cake, add it to stir-fried veggies or to your salad to get the best benefits of carrot for your skin. Papayas are not only sweet and delicious they also contain enzymes papain and chymopapain, vitamins A, C, and B, and dietary fiber. The fruit improves bowel movement and digestion and also regulates blood pressure. This, in turn, can help you get a fresh and infection-free skin as better digestion means you will be flushing out toxins that can prevent acne and pigmentation. As stress can lead to high blood pressure and toxic buildup, papaya can help lower blood pressure thereby slowing aging. It has antimicrobial activity and helps to treat burns in children (9) (10). Avocados are rich in vitamins A, E, C, K, B-6, folate, niacin, pantothenic acid, riboflavin, choline, lutein, potassium, magnesium, sodium, phytosterols, monounsaturated fats, and polyunsaturated fats. Consuming healthy fats is critical as they help maintain the cell integrity and aid in healthy aging (11). Avocados help prevent sun damage, keep the skin soft and supple, while also strengthening and rejuvenating the skin (12). You can consume avocados in a salad, Frankies, smoothies, etc. or apply it topically to see results in just a few applications. 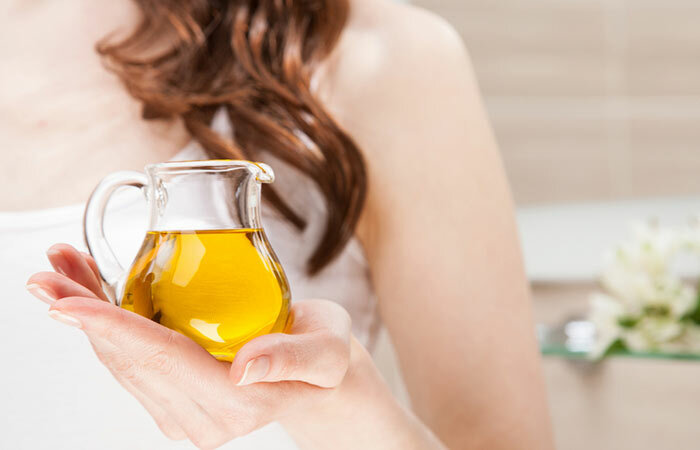 Olive oil is not only good for weight loss but also improve skin health. Olive oil is loaded with vitamin E which acts as an antioxidant that helps flush out the toxins. Japanese researchers found that applying olive oil topically can protect the skin from UV radiation and reduce the risk of skin cancer (13). In another study, Chinese scientists confirmed that olive oil could help those undergoing chemotherapy by shielding the skin from radiodermatitis (14). 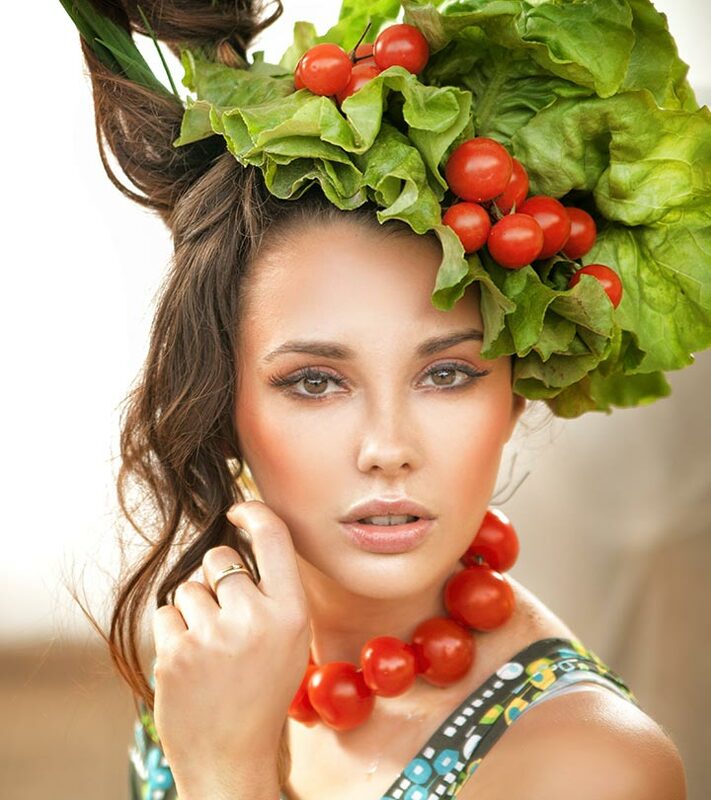 Make your salad dressing with olive oil or cook your food in olive oil to help your skin get better from within. You can also apply it topically. It is known that milk contains calcium, vitamin D, and other nutrients. What is not so well known is that milk also contains alpha hydroxy acids (AHA) that help promote good skin health. In fact, milk is what kept Cleopatra’s skin so glowing, soft, and smooth. The AHA works by stimulating collagen and elastin. It also promotes epidermolysis, that helps remove the upper dead layer of skin (15). Therefore, drink a glass of milk with breakfast or before bed, or you can also treat your skin royally by applying the natural white fluid on your skin to make your skin look even toned. If you are lactose intolerant, please refrain from consuming milk. Almonds are rich in alpha-tocopherol, one of the nutrients under the vitamin E family. A 100 g portion of almonds contain 26 mg alpha-tocopherol and helps protect the skin from the harmful UV radiation. Almonds are also an excellent source of flavonoids that contribute to reducing oxidative stress levels (16). Have 4-6 almonds with your breakfast every day. You can also add almonds to your salad, breakfast cereal or smoothies. 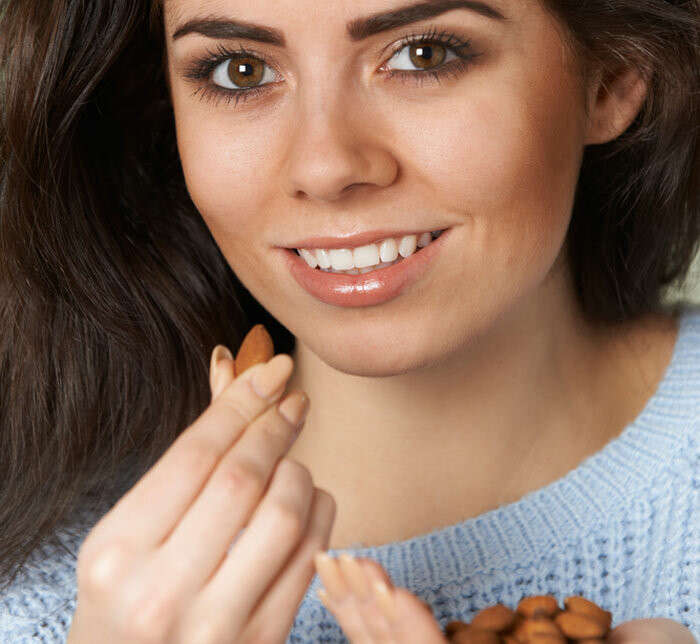 Make a smooth almond paste and apply it on your skin for a brighter and healthy skin. Strawberries contain a good amount of vitamin C, phenolic compounds, flavonoids, and dietary fiber. Due to the presence of these nutrients, strawberries are also known to possess antioxidant and anti-inflammatory properties. These properties help scavenge the toxic free oxygen radicals and help reduce skin rashes, acne, itching, etc. By consuming strawberries, you will boost your health, which will show on your skin (17) (18). Have a small bowl of strawberries or add them to your breakfast cereal, pancakes, waffles or smoothies. You can also toss in some strawberries to a bowl of fruit salad. Garlic is a miracle ingredient that has been used for years as an antibiotic. It is rich in vitamins C and B6, iron, magnesium, calcium, potassium, and possess antimicrobial, antioxidant, and anti-inflammatory properties. Therefore, it helps fight skin infections, reduces swelling and skin rashes, and flushes out toxins (19). Add chopped garlic to your pasta, grilled fish, stew, salad, roasted chicken, bone broth, etc. to make your food more skin-friendly. This dark green leafy veggie is an expert in dealing with skin problems. The dietary fiber helps to keep the gut problems away, which prevents breakouts and rashes. The vitamins and minerals provide the skin cells with nutrition. It has anti-inflammatory and anti-tumor properties that also help to avoid skin diseases thereby helping your skin to be spotless and beautiful (20). Make a spinach smoothie or have it in your salad, wraps, sandwiches, or soups. Black pepper is extensively used as a seasoning, and apart from making your food palatable, it can also help improve your skin. 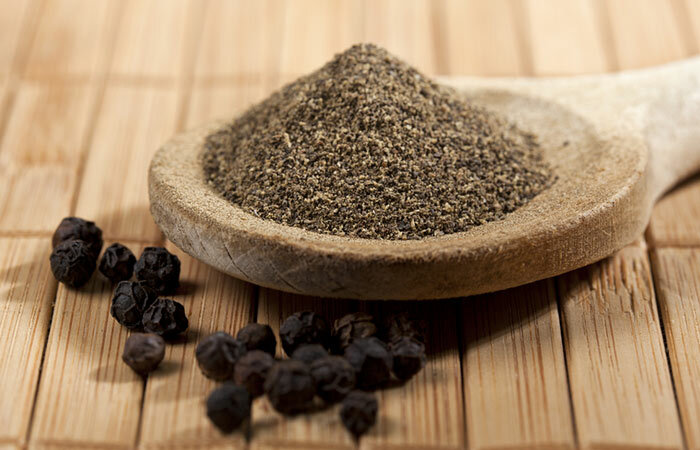 It may seem like black pepper would aggravate the problem as it is a spice, but that is not the case. Black pepper possesses antimicrobial, anti-inflammatory, antioxidant, antidepressant, and gastroprotective properties (21). Depression can cause the release of stress hormones and increase the levels of free oxygen radicals, which is scavenged by the antioxidants present in the black pepper. Add black pepper to your soup, smoothies, eggs, salad, stew, sandwich, burritos etc. to bring out the flavors of other foods as well as improve your skin. Oranges are citrus fruits that are loaded with vitamin C, minerals, dietary fiber, and other nutrients that make it one of the best fruits to consume to prevent skin diseases and infections. 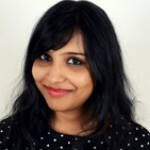 Scientists have found that drinking orange juice regularly increases increased skin carotenoids indicating a good antioxidant level of the skin (22). The antioxidants can help protect the skin from harmful radiation, pigmentation, and prevent inflammation. It also helps boost immunity thereby protecting the skin from infections and diseases. Have an orange with your breakfast. You can also add orange juice to your salad dressing instead of lime or lemon juice or add it to your spinach smoothie. This cruciferous vegetable is rich in vitamins C, E, and K, glucosinolates, polyphenols, iron, selenium, and zinc (23). 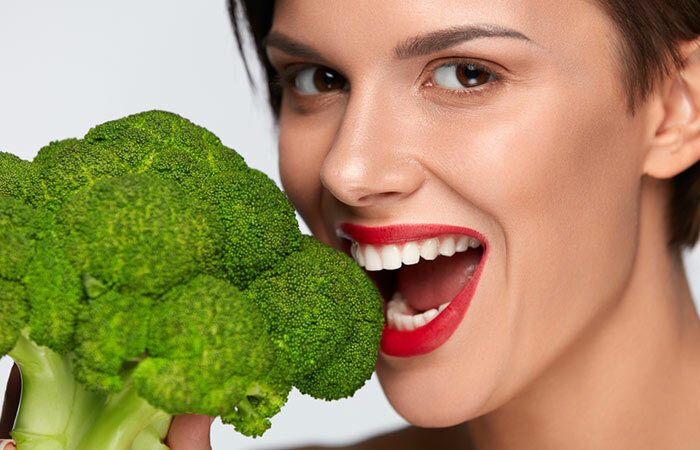 The antioxidant, antimicrobial, gastroprotective, and anti-inflammatory properties of broccoli make it an ideal food to promote skin health. Have grilled, blanched, or steamed broccoli in your salad, with grilled chicken or fish or with sauteed mushrooms. Eggs are a rich source of fat-soluble vitamins A, D, E, and K, minerals, and protein (24). These vitamins have antioxidant properties that help flush out the toxins and hence reduces the chances of acne, rash, and infections. Vitamin D helps in the formation of skin pigment melanin, which is cancer protective in nature. You can have two whole eggs per day. Add eggs to your salad or make a sunny side up for breakfast. You can also add eggs to your pancake or waffle batter, cake, and custard. 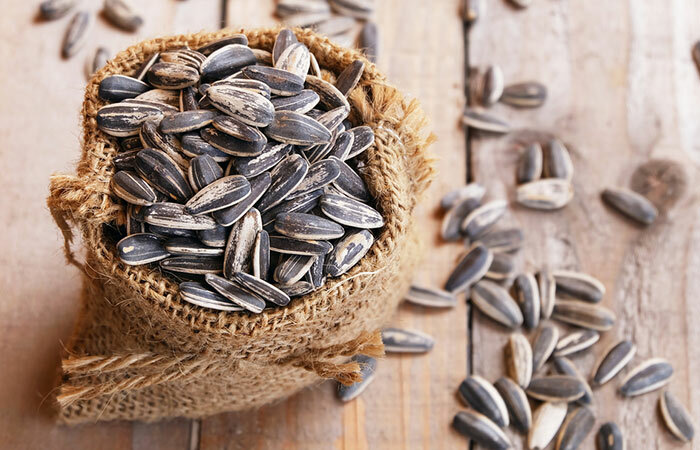 If your skin is inflamed, dry, flaky, and sensitive, you’ve got to try sunflower seeds to help ward off these skin problems. Sunflower seeds are enriched with vitamins E, A, D, healthy fats, linoleic acid zinc, iron, calcium, and potassium. These nutrients help to moisturize the skin and reduce inflammation (25). Buy a pack of organic sunflower seeds, and you can just chew it or add it to your breakfast cereal and smoothie or toss a few teaspoons of sunflower seeds into your bowl of crunchy salad for lunch. Tuna is An excellent source of vitamins A, D and omega-3-fatty acids. Vitamin A acts as an antioxidant and vitamin D help protects the skin from UV radiation. Omega-3-fatty acids help reduce inflammation (26)(27). Have grilled or baked tuna with stir-fried veggies for lunch or dinner. Kiwis are incredibly healthy. They have a substantial amount of carotenoids, fiber, potassium, and vitamins K, E, C that help boost the immunity, prevents microbial infections, helps reduce inflammation, and nullifies the free oxygen radicals (28). Add kiwi slices to your morning breakfast fruit bowl or add kiwis to smoothies and fruit juices. You can also have kiwi with frozen yogurt or sour cream. Yogurt contains good gut bacteria that help in digestion. Digestion and skin health is interlinked because better the digestion and bowel movement lesser the chances of harmful bacteria overgrowth in the gut or colon. This means less toxic buildup in the body and thereby fewer breakouts. Scientists also agree that consuming yogurt or applying it topically can help improve skin health to a great extent (29). Add yogurt to your salad dressing, and lettuce wrap, or make a yogurt dip for fried chicken or fish. You can also have yogurt with your breakfast cereal or have just plain yogurt after lunch or dinner. Apply it topically to get a glowing skin. Now, this is great news for those who love to eat chocolates. Well, just modify the cocoa percentage and take a bite of a bitter piece of chocolate to ameliorate your skin problems. The cocoa beans are rich in flavonols that possess antioxidant properties. A group of scientists from the UK has confirmed through their study that cocoa can help shield the skin from UV radiation damage (30). This, in turn, prevents dark spots, premature aging, rashes, and skin cancer. Whole grains are packed with dietary fiber that helps add bulk to the stool and promote better bowel movement and flushes out toxins. Whole grains are also loaded with vitamins B12, B3, and folic acid.Vitamin B12 deficiency can cause atopic dermatitis, vitiligo, hyperpigmentation, acne etc (31). Folic acid helps slow down skin aging and vitamin B3 helps improve skin elasticity and firmness (32) (33). Consume whole grains such as quinoa, oats, wheat, barley etc. for breakfast to provide your body with a good amount of dietary fiber and vitamins essential for better skin. 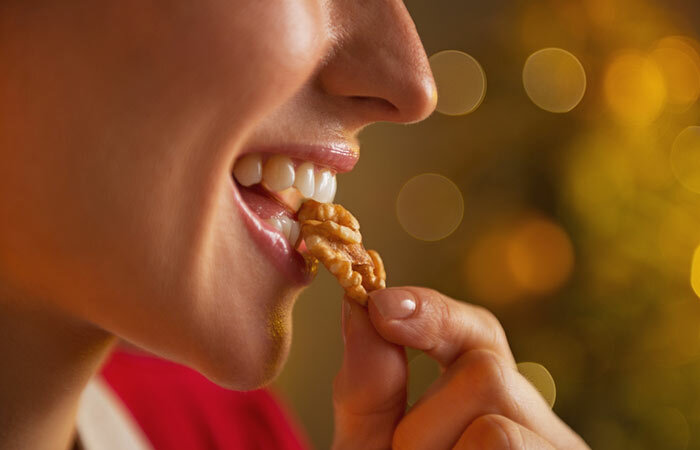 Walnuts are rich in monounsaturated fatty acids and polyunsaturated fatty acids that help decrease skin inflammation.They also have antioxidant properties that help reduce oxidative stress (34). Consume 5-6 walnuts every morning to supply your body with the goodness of these nuts that can aid in preventing and protecting your skin. Rosemary has anti-inflammatory property, which helps to inhibit acne formation (35). Scientists have reported that rosemary and citrus extracts can act together to fight photoaging and skin cancer (36) caused due to repeated sun exposure. Rosemary and marigold extract was also found to reduce skin irritation in human participants (37). Add dried or fresh rosemary to your stew or grilled chicken, fish, or veggies. You can also add rosemary sprig to your detox water to slowly sip the beneficial nutrients. Red wine is not only good for your heart but is also great for your skin. Red grapes are loaded with resveratrol, an antioxidant that helps decrease oxidative damage and renders protection against the harmful UV radiation and skin cancer (38). The phenolic compounds present in red grapes have antiallergic and antiviral properties. Thus it halts the progression of skin rashes and viral infections of the skin (39). Now, do keep the points mentioned below in mind to keep your skin healthy and glowing forever. Protect your skin from UV radiation by using an umbrella and applying high SPF sunscreen all over your exposed skin before stepping out. Drink water and detox water to help flush out the toxins. Avoid eating too spicy food. If you ride a bike or a bicycle, make sure to wear a biker jacket or full-hand gloves to protect your hands from UV rays. You can also rub a cube of ice on your face to help soothe your skin at the end of the day. Apply a homemade face pack every alternate day. Use a water-based or oil-based moisturizer depending on your skin type soon as you wash off the face pack. Talk to a dermatologist if you see patches of discoloration or flaky skin. Do not burst a pimple as it can leave a permanent mark. It is not an easy job to get flawless skin, but it is not an impossible feat either. Just eat the 25 foods and then see the results yourself. If you know of any food that can help thousands of girls and women achieve glowing skin, please mention in the comments section below. Cheers!